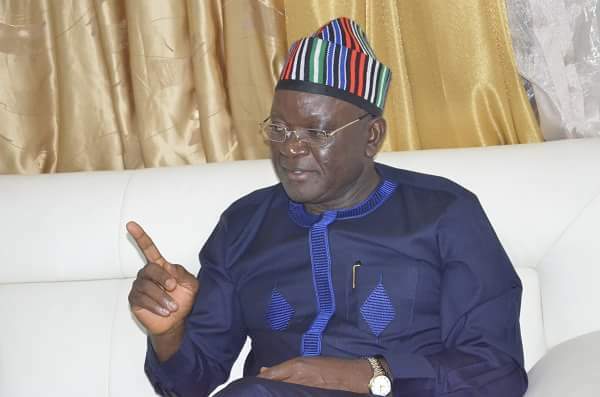 Benue State Governor, Samuel Ortom, on Friday raised the alarm over alleged disappearance of N4bn from the final tranche of the Paris Club refund to the state. Ortom had two weeks ago announced the receipt of N14.9bn last tranche of the Paris Club refund to the state by the Federal Government. But, barely five days after the receipt, officials of the state government announced that Federal Government had withdrawn the money. The development raised anger in the state as workers and the government kicked against the recall. Ortom, through his Chief Press Secretary, Terver Akase, on Friday raised the alarm over the situation. He said, “We have heard the rumour that N4bn disappeared from the N14.9bn final tranche of the Paris Club refund to Benue State which the Federal Government later withdrew from the state’s bank account. “We hope that this remains a mere rumour. Nothing must happen to the N14.9bn. “If this is a ploy to sell a dummy to the people and later take away the said amount, those behind it had better changed tactics because this has failed already. When contacted, the Commissioner for Finance in Benue State, David Olofu, said that he was not aware of the rumoured disappearance of the money.